J.Crew Fan Rattan Clutch and more spring style steals under $100! This straw tote with a white floral motif needs to hop in my closet ASAP! Too cute! This jumpsuit coverup is so chic and breezy. Ideal for any summer vacay. These white woven mules look perfect for hot summer weekends! This striped linen blend dress is just the kind of thing I live in this time of year. So comfortable and airy! These Topshop white skinnies look like such a great fit! 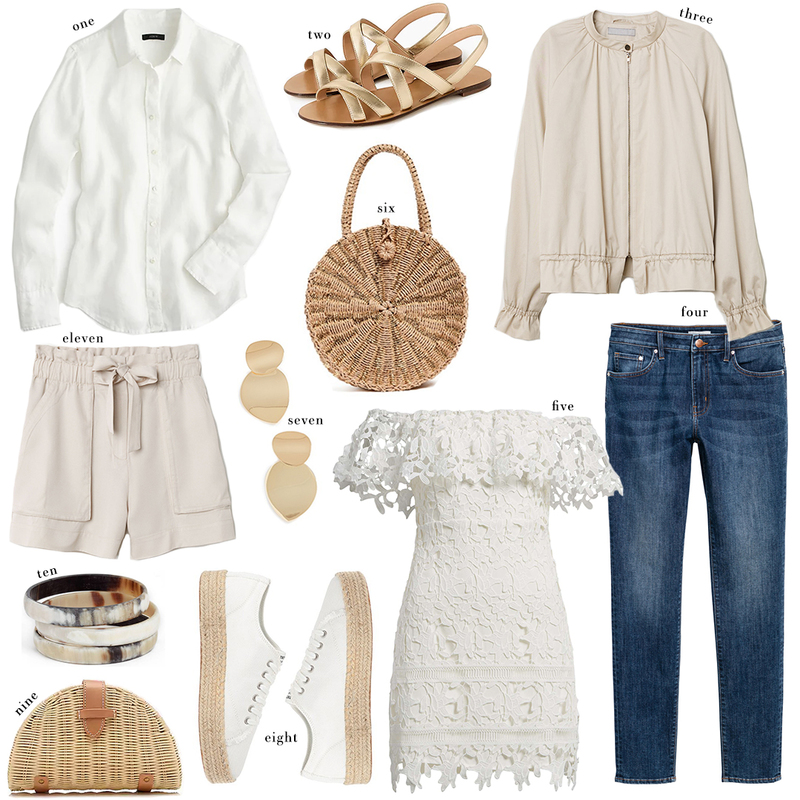 Get the Chanel espadrille look for less with this pair from Nordstrom! Can’t believe this LWD dress is under $65!! Love the button detail on this casual number. How cute are those shorts! Seriously obsessed!